The index opened flat on the day of Expiry and stayed in a narrow range but saw huge short covering in the last hour to close near the highs of the day at 8494.20, gain of 18.45 points. The broader market was also strong, with 824 advances to 703 declines. Tentative Range at the start of series comes to 8300-8600. Call option 8100-9000 added huge 37.23 lacs OI with short covering seen at 8000 and below strike prices. Put option 9000-8000 added huge 36.84 lacs OI with profit booking seen at 7800 and below strike prices. 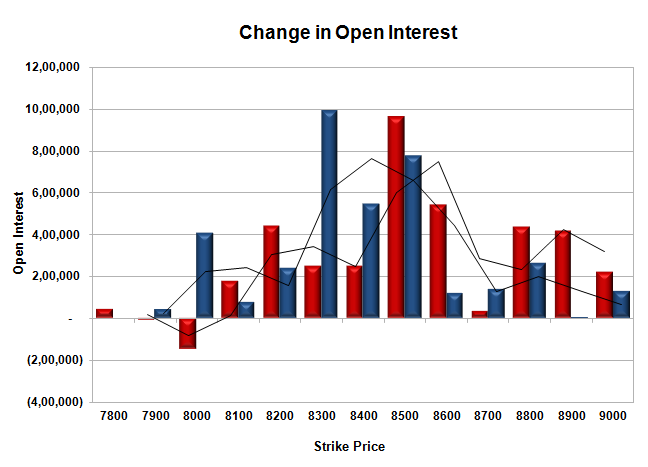 Nifty Open Interest is at 2,09,40,850 up by 46,99,850, with small increase in price, 100% roll-over with huge long build-up. Bank Nifty Open Interest is at 15,62,225 up by 4,68,350, with small increase in price, 100% roll-over with small long build-up. FII’s bought huge 25.18 lacs Futures, which includes 101180 contracts long liquidation and 143839 contracts short covering, with decrease in net OI by 245019 contracts (includes 272869 longs to 172144 shorts for the day) and the Average Price comes to 8555.00. 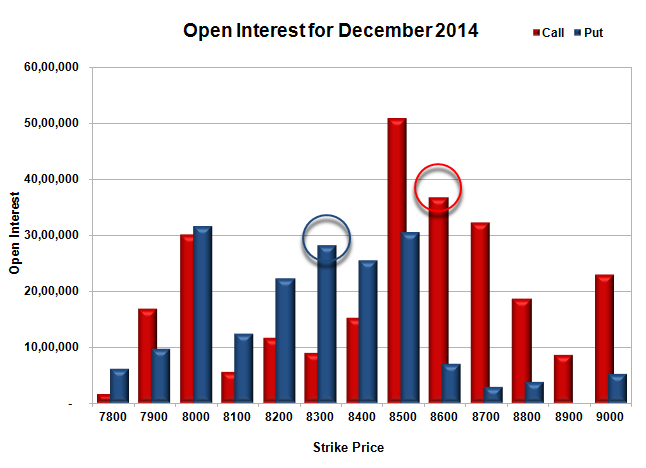 FII’s Index future open contract as on date is 664803 Longs to 62208 Shorts, net long 602595 up by 42659 contracts. Initial support at 8500, with OI of 30.42 lacs and below that at 8000 with huge OI of 31.48 lacs. Initial and best resistance at 8500, with huge OI of 50.80 lacs and above that at 8600 with OI of 36.69 lacs. 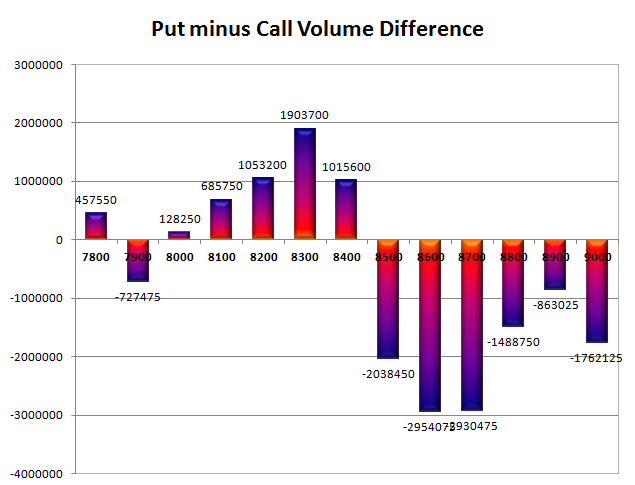 Day Range as per Option Table is 8435 - 8540 and as per VIX is 8438 - 8551 with 8486 as the Pivot.